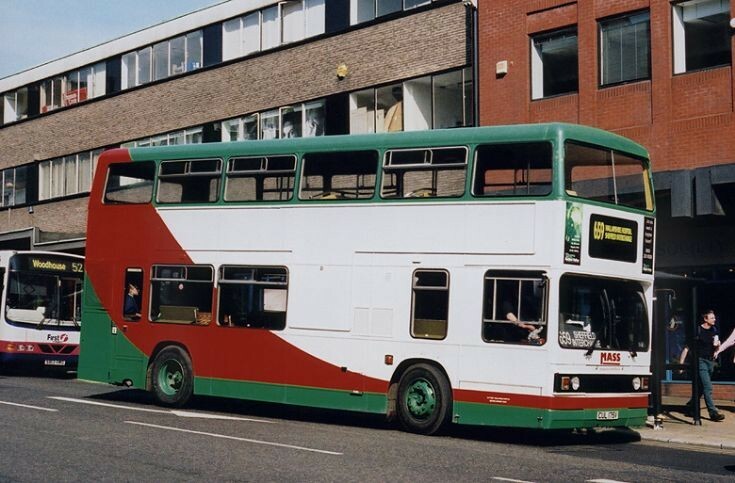 MASS double deck bus 5175 seen at Pinstone Street, Sheffield on 16-05-2002. CUL175V, a Leyland Titan TNLXB2RRSP / Park Royal on service 659 (???? - Hallamshire Hospital - Sheffield Transport Interchange).